Thanks to CDI’s Donors for These Special Scholarship Awards to the Class of 2018! – Comprehensive Development, Inc. Thanks to CDI’s Donors for These Special Scholarship Awards to the Class of 2018! Noah Sorensen came to City-As-School in 2017 and graduated two cycles ahead of his peers. Noah has a strong interest in hands on work and is currently pursuing an AAS degree in Residential Construction at SUNY Delhi. He is gaining on-the-job experience and reports that he is very engaged in his classes during his first semester. One of the projects he is currently working on is building a home from the ground up. 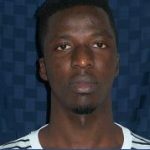 Kouame came to the US from Ivory Coast in 2016. He is a strong student who is supporting himself, having balanced multiple jobs with his academics since starting at MCNDHS. He is interested in studying computer science, law and political science and eventually transferring to a four-year college. In the meantime, he is excited to be starting at Guttman Community College this fall. 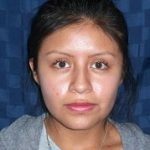 Mayra came to MCNDHS in 2016 from Ecuador with big plans. At MCNDHS she was a powerhouse peer tutor, member of the girl’s soccer team, and participated in many STEM-related extracurricular activities, including an multi-day presentation at a national youth climate conference in West Virginia. 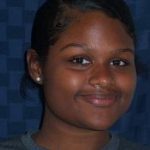 She is attending Fordham University this fall and studying computer science. 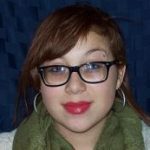 Angelina graduated from MCNDHS in 2015 and recently completed her Associate’s Degree at BMCC. Angeline has been working at the Union Square Trader Joe’s. She is now attending SUNY New Paltz to begin her Bachelor’s degree. Juan came to the US from Colombia in 2016 and graduated from MCNDHS in 2018 while also working part-time in an after-school soccer program for kids. 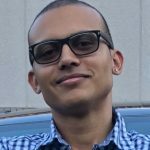 Juan is attending Binghamton University through a unique partnership called the Binghamton Advantage. Through this program, Juan will spend his first year taking courses at SUNY Broome but having full access to Binghamton’s amenities and clubs. In his second year he will transfer fully to Binghamton. 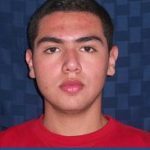 Juan plans to study finance and business administration/management. 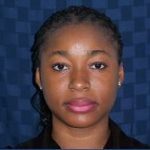 Originally from Central African Republic, Elizette studied several years in Burkina Faso before relocating to New York with her family in 2016. An enthusiastic student, Elizette overcame her initial shyness and successfully participated in a Cooper Union Saturday STEM program, and also peer tutored in math and science. She will be attending Borough of Manhattan Community College this fall, majoring in biology. Adam came to MCNDHS in early 2016 after having relocated from Malaysia. His desire to come to the States was propelled by his love of history, a topic that he dreamed of studying at an American university. Adam was a member of the championship table tennis team and also worked as a student aide at the CDI reception desk for two years. He will attend the City College of New York this fall where he will major in Liberal Arts with a focus on history. Esmael came to the US from Togo in 2015 and started at MCNDHS in early 2016. He has largely supported himself since coming to the US by working a variety of security jobs. At the same time he was able to also flourish academically at MCNDHS, actively participating in the Cooper Union summer intensive, as a peer tutor and in student government. He will be attending SUNY Jefferson this fall with the intention of transferring to a four-year school after one year. His dream is to attend medical school. 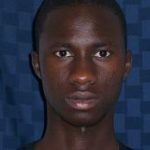 Babacar came to the U.S. from Senegal in 2016. 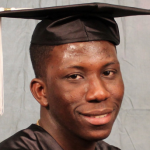 Babacar participated in various activities while he was at MCNDHS including peer tutoring, the Cooper Union summer intensive and student government. While attending high school he supported himself by working in security and will continue to do so while in college. He is attending St. Joseph’s College in Brooklyn where he plans to study computer science. Lun moved to the US from China in 2015. 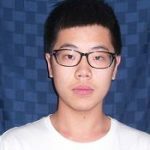 He participated in numerous activities at MCNDHS, most notably the Cooper Union summer intensive and the table tennis team. 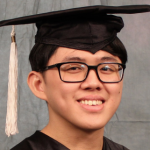 Lun is attending the prestigious Grove School of Engineering at the City College of New York, where he plans to major in electrical engineering. Sarah came from Nigeria to New York in 2015. In her time at MCNDHS, Sarah took part in the Cooper Union summer intensive, served as a peer tutor and also participated in student government. She brings a positive attitude and fierce intelligence to her studies and is now studying pre-law at York College. 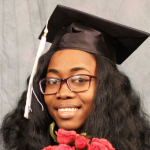 Debra graduated from MCNDHS in 2018 and is just beginning her Associate’s Degree at Guttman Community College. A trained opera singer, Debra also completed an internship with the Legal Aid Society’s Immigration Unit while she was a student at MCNDHS.